.22 rifles are, by definition, rifled. In quite a few countries, that’s subject to a higher level of restriction than smoothbores. 22LR round is fixed ammunition, and that is also more restricted compared to loosely loaded black powder guns. The key is “fixed ammunition”, not smokeless…the old single action “peacemaker” Colts would be too modern for those who want us disarmed. Looking at German gun control efforts of the 1920s, we see “liberals” trying to disarms the hardliners of both sides. A few short years later, the hardliners got in control of the enforcement mechanism and re-defined eligibility. Nazi gun control wasn’t all that onerous for the party supporters, but all others were severely restricted. Even sticks were considered prohibited weapons by 1938. American politicians followed the Nazi lead in exempting themselves from gun control laws. Even without the accessories, this Little Badger would make gun-banners uneasy. It folds for storage. It has a threaded muzzle. It looks martial. 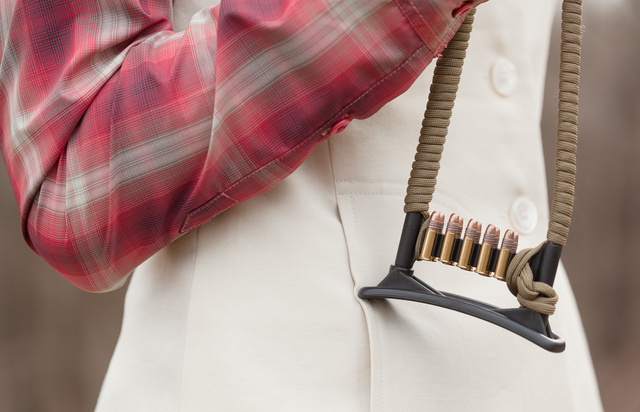 That it’s a single-shot .22 wouldn’t stop them from making you ineligible to own it. The licensing scheme of New York City is the best illustration — they want to control who has any weapons at all, even a single-shot .22 rifle that would be considered a child’s learning tool in the rest of America. Threaded muzzles are scary because they allow attachment of accessories. The amazingly pro-choice leftists aren’t in favor of choices we might make, only of those they would approve. Noise reduction isn’t one of them. The current ammunition shortage is a great illustration of the marginal worth concept from microeconomics. If a 500rd brick of .22LR cost $15 at the store, how much would you pay for just one round when your rifle is empty and your foe is upon you? While the oversized red dot is a poor fit for this small carbine, how long before optics become a target for the gun banners as well? They know full well that these are force multipliers. Some countries already ban gun-mounted lasers, could a ban on modern sights be far behind? We are at war with those who would disarm us. Being deprived of modern defensive arms is the cultural equivalent of going to a secondary crime scene with the perpetrator. We don’t know exactly where that would lead, but we can be sure it leads nowhere good. Our chances of fighting back effectively diminish with every concession we make. This entry was posted in ammunition, civil rights, rifle, rkba, self-defense, sound suppressor, weapon and tagged 22LR, Chiappa. Bookmark the permalink. 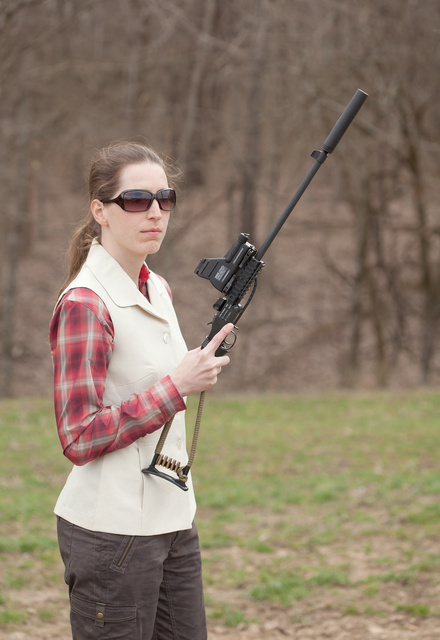 9 Responses to They won’t ban your single-shot .22, right? I was thinking about getting a single shot .22 from Rossi but I like the look of this better even tho it doesn’t have the swap-able barrels like the Rossi. Any info on where I can find one. HWP doesn’t need to look too far. 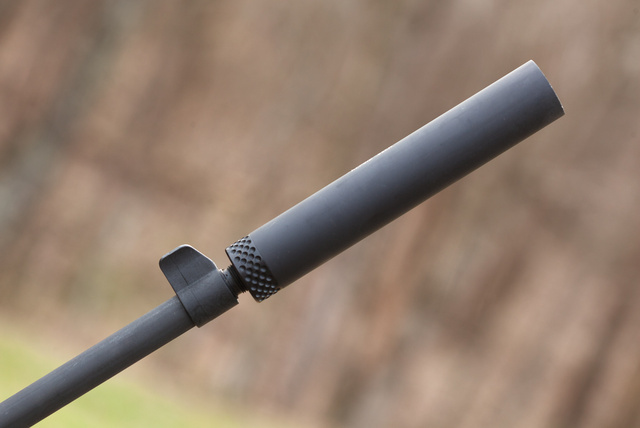 In California, suppressors are illegal. 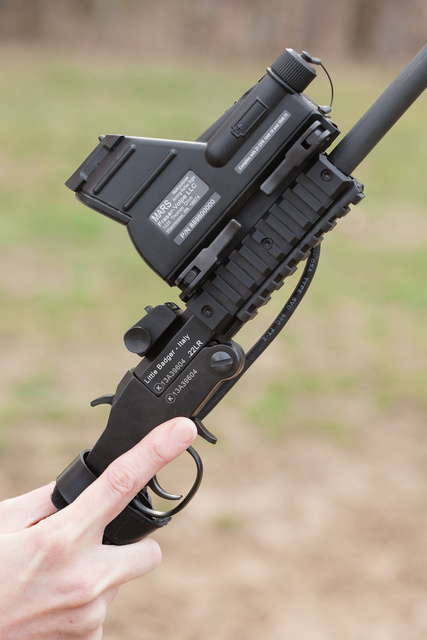 Attaching a night vision scope is illegal. In my county attaching a laser to a carry pistol will invalidate one’s carry permit. Fortunately I live in the next state over, so I know Massachusetts law only by rumor, but as I recall, just about anything you could use to defend yourself is illegal there. Martial arts devices of many kinds (like nunchaku), knives, mace, you name it. MA politicians take their victim disarmament very seriously. By contrast, NH recently repealed a law prohibiting the carrying of dirks. I never could tell what that meant since the term wasn’t defined anywhere, but whatever it is, I guess I can carry it now. I reckon you could do a lot with fin-stabilized sabot rounds out of a smooth bore. No– they’re only pro “choice” on one thing. I guess you could call that amazing, being as they contradict themselves horribly in every other subject. It’s “amazingly retarded” I suppose.